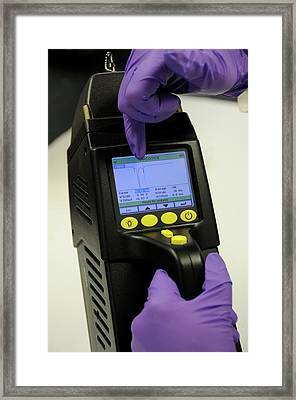 Portable Chemical Detector is a photograph by Food & Drug Administration which was uploaded on July 24th, 2016. 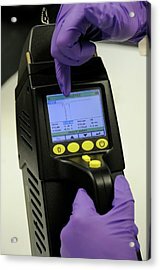 Portable chemical detector. 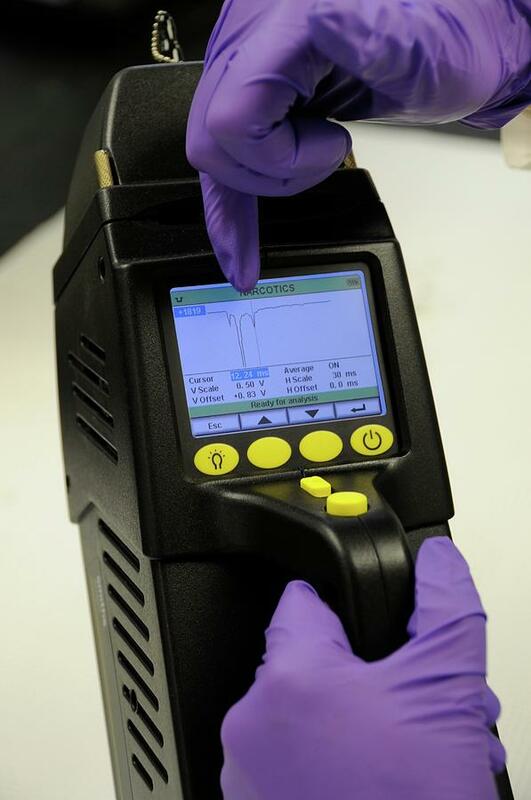 Display on an ion-mobility spectrometer (IMS) showing the illegal presence of a weight-loss drug in a dietary supplement. IMS separates and identifies the components of an ionized gas. There are no comments for Portable Chemical Detector. Click here to post the first comment.